The Body Solid Kettlebell Rack GDKR50 is designed for compact kettlebell storage, the GDKR50 provides storage for 6 total kettlebells. The Body Solid Kettlebell Rack GDKR50 stores any size kettlebell from 5lbs to 50lbs. 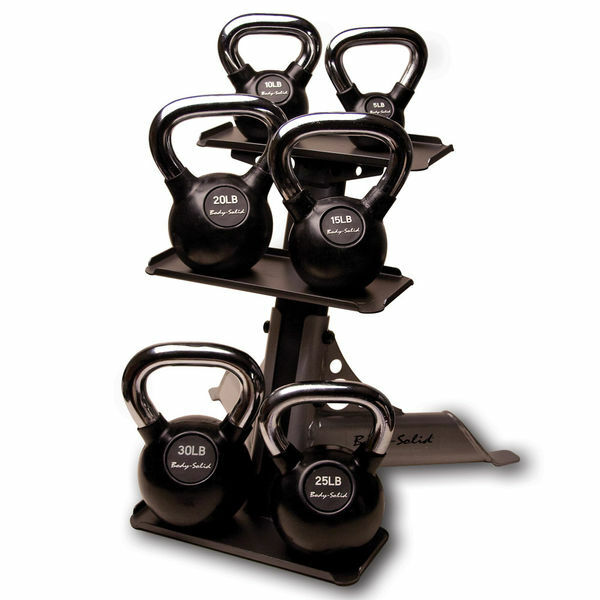 Three offset shelves provide easy access for all 6 kettlebells. The modern design complements any fitness room. The perfect companion for your Body Solid kettlebells, the GDKR50 is compact, stable and affordable. 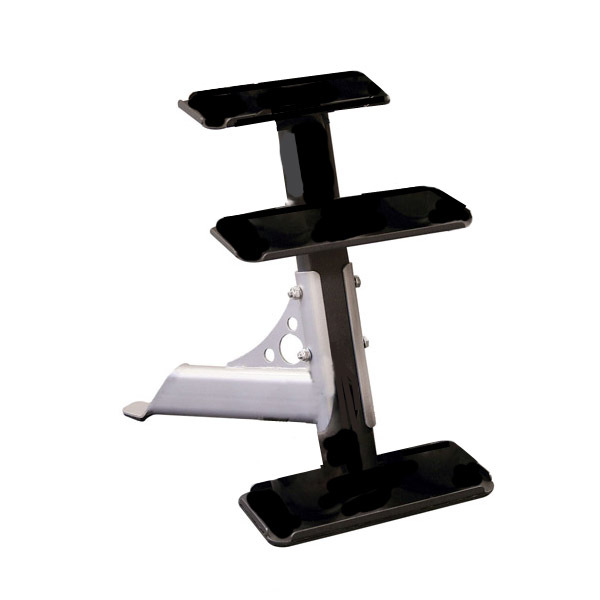 Call 1-800-875-9145 or Go to FitnessZone.com to order your Body Solid 3-Pair Kettlebell Rack GDKR50. Order your Body Solid 3-Pair Kettlebell Rack GDKR50 from FitnessZone.com today!